Despite a lengthy investigation, the Nationals were unable to find evidence linking Barnaby Joyce to sexual harassment allegations. Not everyone is happy. The Nationals have been unable to make a finding on the claim by a woman that former deputy prime minister Barnaby Joyce sexually harassed her. Catherine Marriott, former West Australian Rural Woman of the Year, made the allegation at the height of the controversy over Joyce’s affair with his former staffer (and now partner), Vikki Campion. He claimed at the time it was the tipping point that led him to quit the Nationals’ leadership, although he has said subsequently when Campion became pregnant, he always knew he would have to go. Marriott, who made the complaint in confidence, was highly upset when her name was quickly leaked. 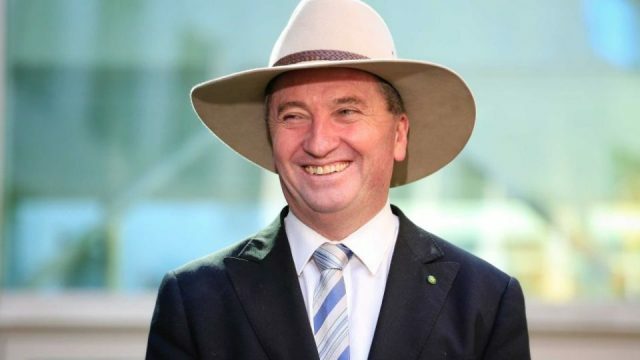 Joyce on Friday had no comment beyond standing by what he had said initially, when he described the accusation as “spurious and defamatory”. But she said she wasn’t surprised because the party hadn’t had an external process in place to deal with such a complaint. The outcome of the investigation comes as the Liberal party has been rocked by allegations of bullying during the leadership battle. Several Liberal women have spoken out strongly against the bad behaviour, and MPs are waiting to see whether individuals are named in parliament next week.